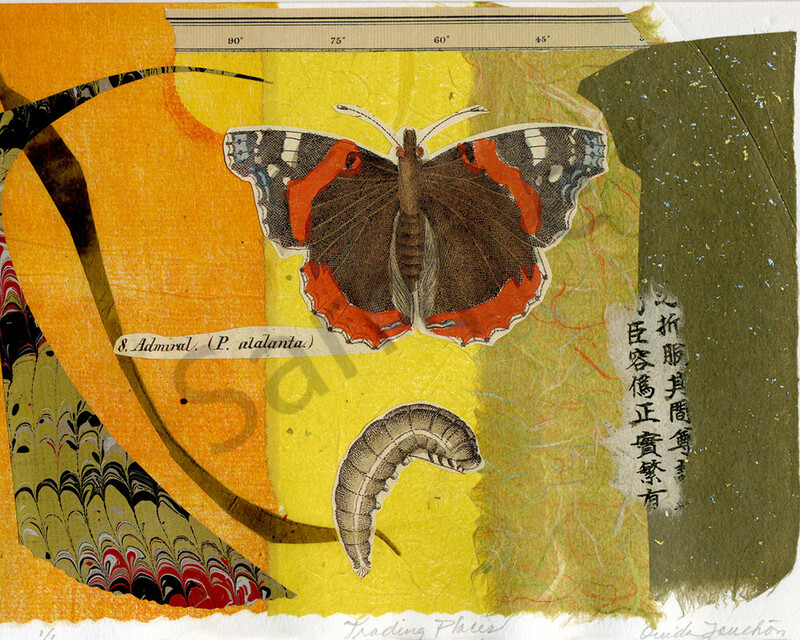 Chine colle collage original artwork with vintage lithographed butterfly, signed by the artist. Available as original at 9x7 image size, with acid free mat and backboard size 14x11", in cello sleeve, shipped in flat box...Carefully packed and shipped from my studio in New Mexico. Your shipping charges will be returned to you in the package containing your artwork. Thank you! 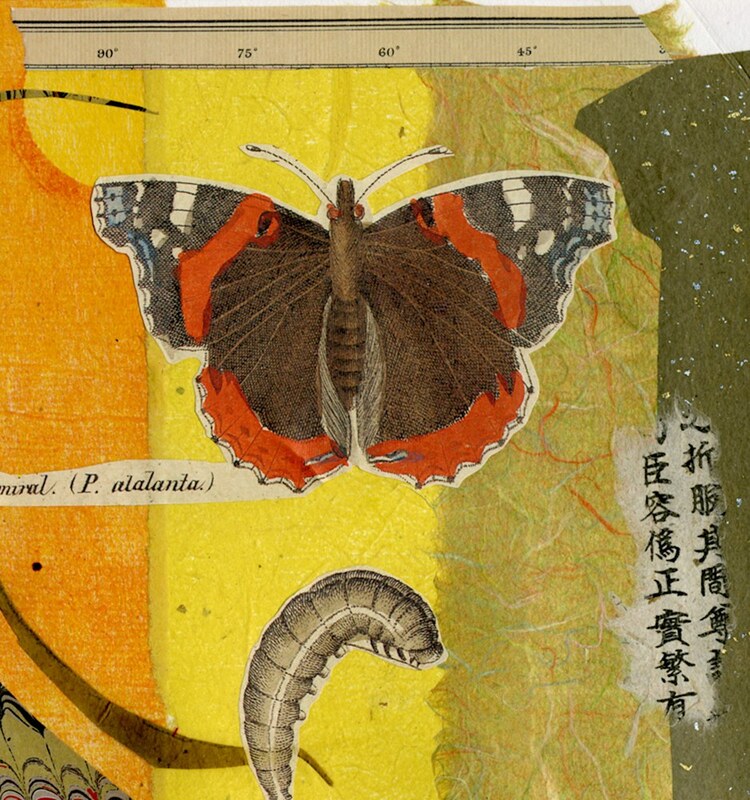 One of a kind collage using chine colle technique and vintage butterfly print. 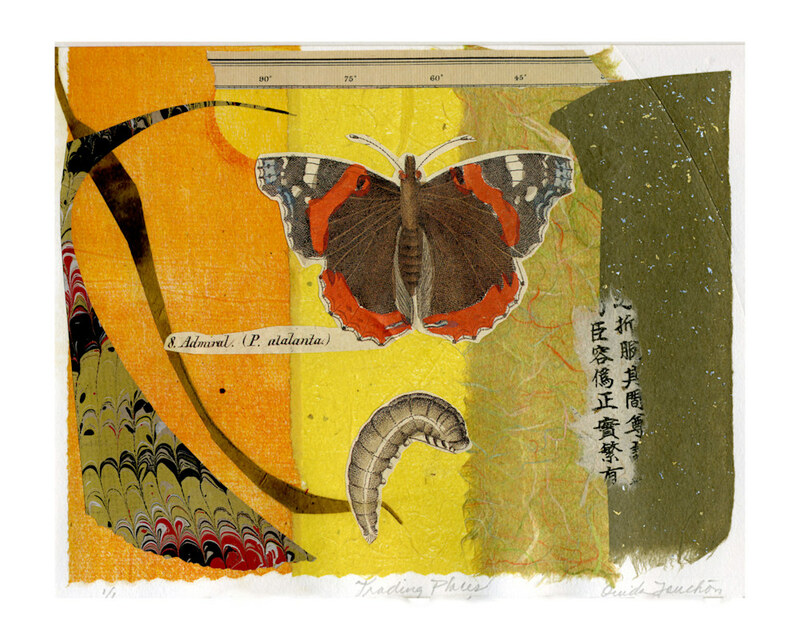 Available as original as well as assorted archival reproduction sizes and media. Original artwork will be shipped from my studio and the shipping box will include a check refunding you for the shipping charge you are given upon check-out. In other words, it ships for free! !